As I’ve mentioned before on this site, if you want to bring a gift to impress to a Mexican who drinks, the safest bet you can make is Don Julio tequila. You could spend more on Clase Azul and create a bigger impression because of the hand-made porcelain bottle, but Don Julio Reposado or Anejo comes in a few bills less and garners instant respect. 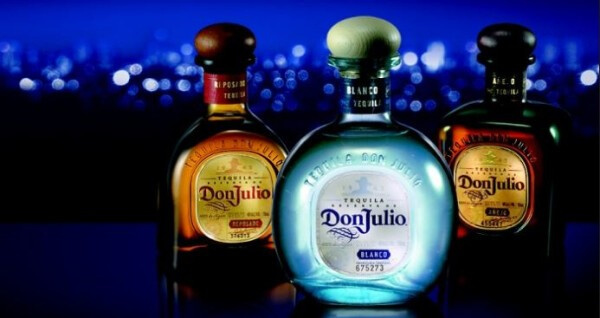 Don Julio has been out as premium tequila since long before that was a trendy thing, since 1942. What’s also not trendy is its singular focus. While the likes of Cuervo and Sauza produce multiple brands in one facility, “La Primavera” distillery only produces this one. No crappy mass-market cocktail swill coming down the same bottling line. They also avoid the shortcuts some others take: the agave fruits are steam-cooked in traditional masonry ovens for three days to release the sweet agave juice slowly, without rushing. Don Julio Gonzales is a real guy too. He founded the company at the age of 17, so he’s still around. The key difference between the reposado and añejo versions is the time in white oak barrels. (As with most tequila brands, they use reclaimed barrels that have already mellowed out for years with Kentucky bourbon inside.) The smooth highland reposado is aged for eight months. It emanates quality from the first whiff to the last finish, a complex and well-structured mix of spice (especially cinnamon), citrus, and agave sweetness. 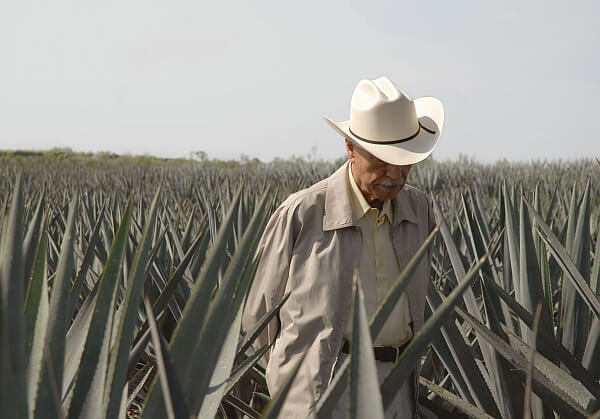 If you ask many experts what the yardstick should be to measure other tequila brands, Don Julio’s reposado comes up more than most others combined. It has become a kind of gold standard. The añejo version is aged for 18 months, but you wouldn’t know it from its looks. Coming out of its brown bottle, it’s surprisingly pale for something aged this long. There’s a reason for that though: the brand bucks tradition in another way by using the barrels they’ve already used rather than fresh ones from the bourbon folks. In other words, the barrels holding this version for a year and a half have already hosted the reposado for eight months. This makes it radically different than most others in the sense there’s a lot less influence from the wood. If you prefer a heavy, oak-forward version to sip after dinner, this is not your best bet. It’s one of the most interesting, with more butterscotch, honey, and spice notes up front than you usually find, with less of the leathery, tobacco kind of notes you normally encounter with tequilas aged this long. It’s an intensely pleasurable drinking experience, but can throw people for a loop at first pour. Bartenders have been known to have an order sent back, the patron thinking they got the wrong version. We must point out that if you’re willing to drop $100+ on something fancier, there’s a Don Julio 1942 Tequila aged for at least two-and-a-half years. This ups the ante even more, and the second time I got to try it I saw the light: this is clearly one of the top bottles you can buy at any price. 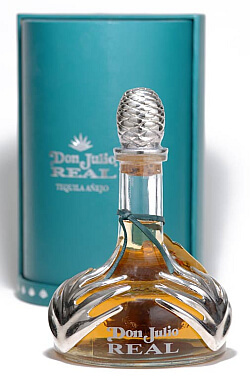 I doubt I’ll have a chance to try the Don Julio Real anytime soon: with a very fancy bottle and a “If they’ll pay it, we’ll make it” attitude, this version goes for an eye-popping $399 at retail. Spring for this when you have a really big deal to celebrate and tell me how it went. See more at the official website and shop around for a good price. I’ve seen the reposado for sale for as little as $28 in Mexico and as much as $70 in an independent U.S. liquor store. It’s usually in the $55 range at the big liquor store chains. The añejo is often only a few dollars more, making it a relative bargain if you’re looking for a sipping tequila with some additional aging. I love tequila and have had many different ones, but Don Julio has become my go-to the past few years. I especially love the 1942, and have been fortunate to own a few bottles. I do have a bottle of the Real, which I save for special occasions, but to be honest I think I like the 1942 better. Dee, if we’re buying ourselves we’ll stick with the regular versions as well. You can’t blame them for playing the premium marketing game though and the 1942 is good stuff if you happen to be with someone who is sharing. As opposed to some of the premium brands that wouldn’t fare that well in a blind taste test without their pretty bottle.